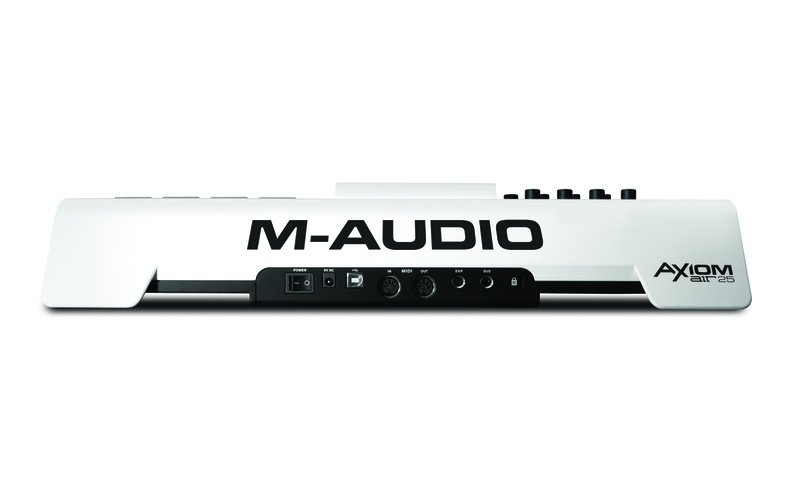 Take command of your studio while achieving higher levels of musical expression with Axiom AIR 25 from M-Audio. Offering unprecedented control, Axiom AIR 25 brings together unmatched ease-of-use plus empowering software to form the ultimate studio centerpiece. 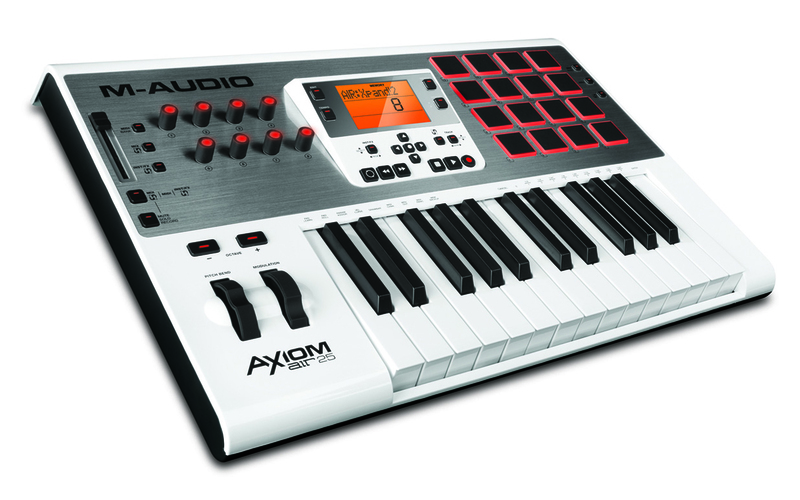 Program beats, loops, and grooves using 16 easily assignable trigger pads and 25 solid, responsive keys. 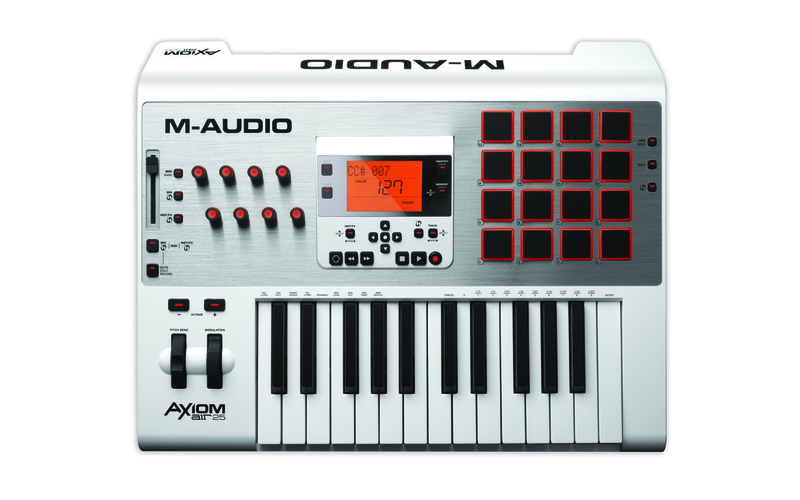 Experience hands-on control of your sessions using illuminated knobs, a long-throw fader, plus an array of dedicated transport and software navigation buttons. HyperControl® unites your hardware and software* by automatically mapping the controllers—with no set up chores to perform—so you can start working faster. Completing this powerful package is Ignite™—the music creation software from AIR**—providing the fastest path for capturing ideas and making music. 20.3" x 16.5" x 4"